Tip-off: The NBA Season is Set to Begin! “Kobe Bryant 61 NYK3,” by C.J. Iuzer. The NBA regular season begins in a week, but there has been a lot happening already on the sports medicine front in the league. And then, there is the question of Kobe. He has been in the press a lot! The NY Times recently had an interesting chat with the Kobe and Arianna Huffington, a unique friendship to say the least. It seems Kobe is indeed looking at his future, however many seasons he may have in front of him. And before he has even taken a shot in the regular season, pundits aplenty have shared their skepticism about his ability to perform on the court: seems like a lot of folks are betting Kobe will be an albatross around the neck of the Lakers. 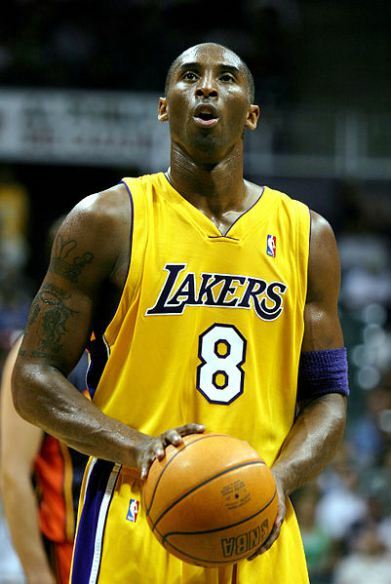 Kobe, of course, went through operative treatment and an accelerated rehab. His 2014 season was cut short because of a knee injury. For the brief time he played, it would seem his Achilles held up quite well. I suspect his knee injury was of the sort we saw after the NBA lockout, where a prolonged layoff from the sport can lead to higher rates of injury; that is, I think his knee injury was more linked to a prolonged absence from high-level running and jumping related to his prolonged recovery from Achilles tendon surgery. A similar process was involved in Derek Jeter’s case, where a quick return from one injury (ankle fracture) led to a season-ending issue in another body part (quad strain). I wouldn’t bet against Kobe, no sir. He is as tough as they come, and throughout his career he has been at the forefront of athletes employing cutting-edge concepts in training and recovery. I don’t know about the Lakers as a unit. But I think Kobe can make some headlines that are not related to injury this season. Draining 61 points at Madison Square Garden one more time in his career? I think the Black Mamba may just have it in him. I woke up this morning to hear very sad news that occurred in the NBA last night: Kobe Bryant has ruptured his Achilles tendon. Kobe, who turns 35 this year, is one of the most recognized athletes in the world (maybe one of the few things that China and the USA can agree on). He had been leading his team to crucial victories as they were making a playoff run when he succumbed to this not uncommon injury in the middle aged athlete.